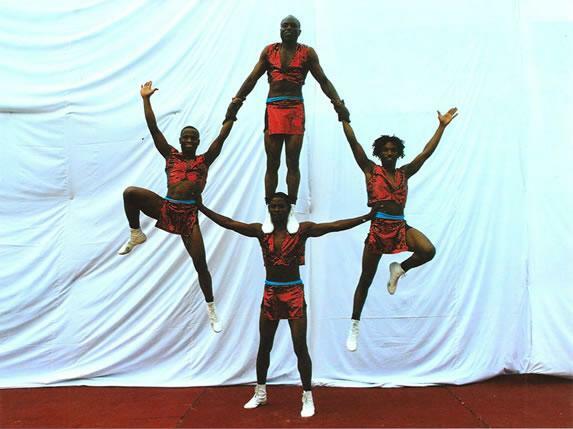 The Black Eagles are originally from Tanzania, East Africa, where they learnt their acrobatic skills on the streets of Dar-es-Salaam. 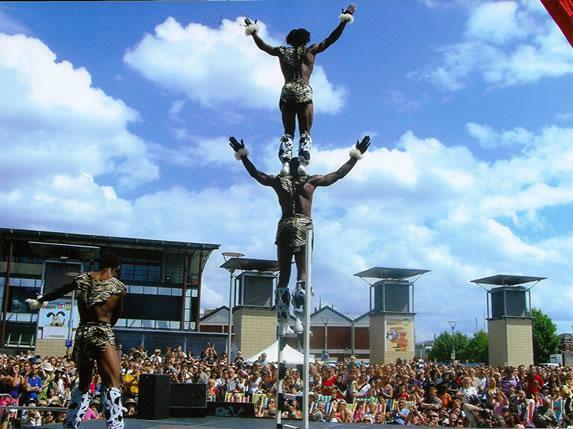 They have toured extensively in South Africa at the Brian Boswell Circus, Botswana, Zimbabwe and Mozambique, before coming to the United Kingdom as the Black Eagles. Since then they have appeared all over the UK and Europe at festivals such as Womad (UK, Spain and The Canary Islands), Glastonbury Festival, Sidmouth International Festival, The Royal Albert Hall, Canary Wharf, Sunderland Football Stadium (Stadium of Light), The Queen’s Jubilee, Commenwealth Olympics in Manchester, and many more. 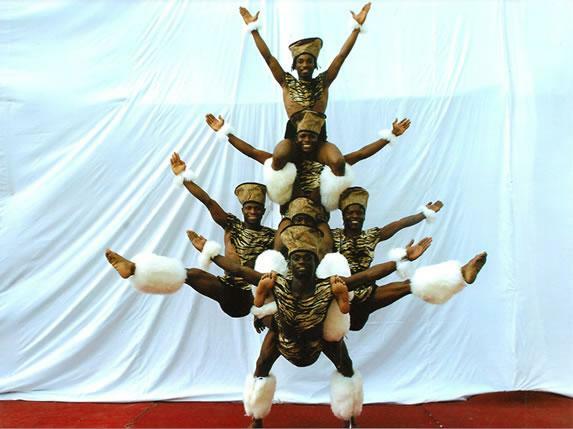 he Black Eagles present shows for any environment, combining stunning acrobatic skills, energetic dance and an uplifting African Musical soundtrack, in performances that are both enjoyable and breathtaking! 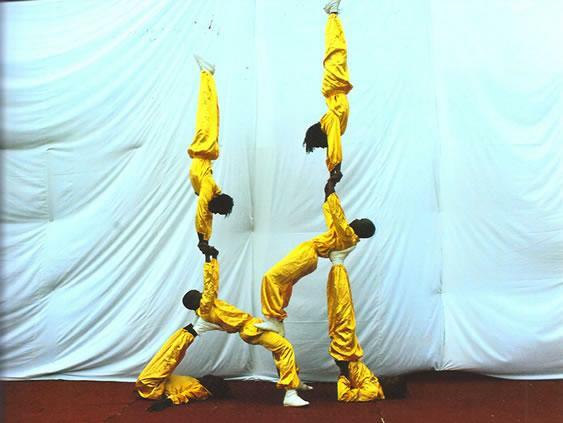 The normal show is 2 x 25 minutes of either acrobatic, hoops, limbo or samba. 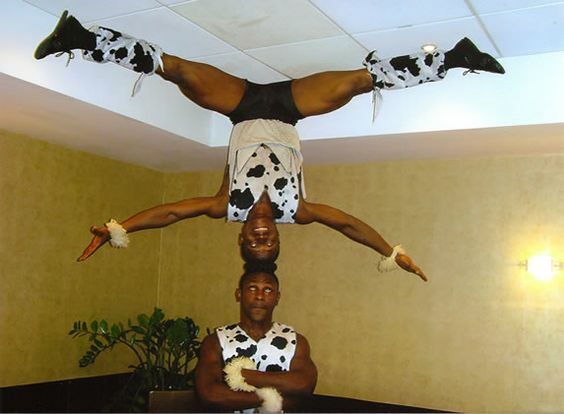 They supply their own music on cd or minidisc and have their own PA if needed. 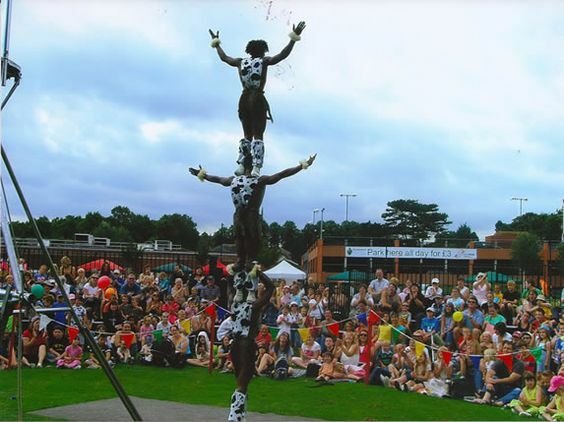 The stage area is 5 x 5 metres and approximately 12 ft high. 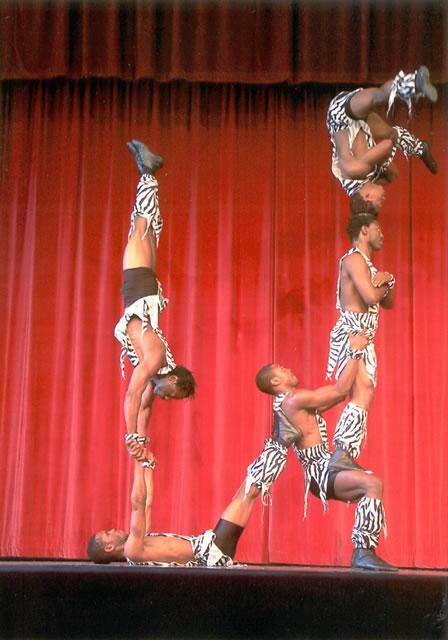 There are usually 3-4 acrobats in one show. 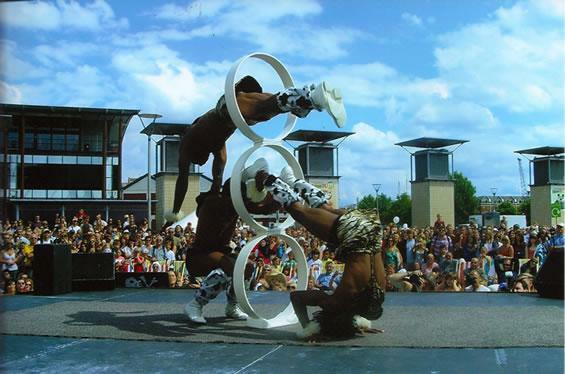 Acrobatic and African dance show for the street or stage. Ladder show which does just what it says on the tin!